Lent. The Christian season of introspection and repentance. And for more than a few worshippers at our church in Minnesota, a favored time of year with an added mid-week service preceded by soup suppers. Savory soup flavors warm winter weary souls. We dine together, our church family. We break bread and build relationships as we anticipate spring and the explosive joy of Easter. 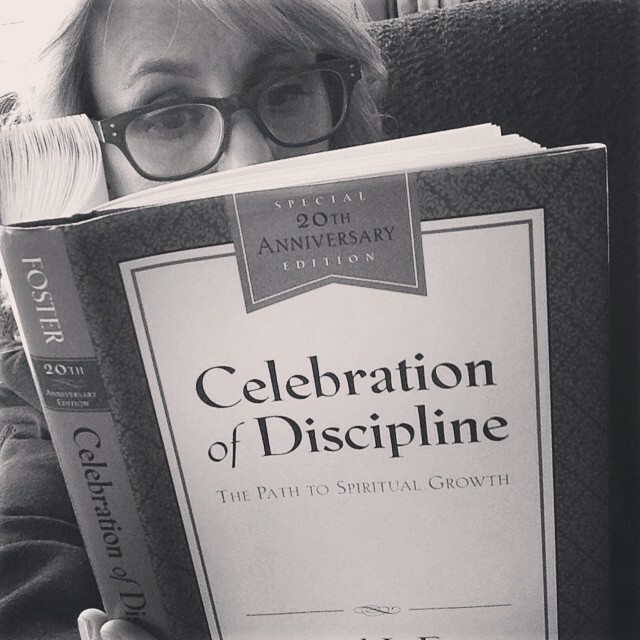 As a means of centering my mind during Lent, I’m re-reading Celebration of Discipline, The Path to Spiritual Growth by Richard J. Foster. I plan to share in a series of blog posts some personal thoughts about what I re-discover in this book, as I take a mental journey along the Via Dolorosa during Lent. The book goes on to illuminate what spiritual disciplines are not. The practice of the disciplines should not be a practice in will power as this can too easily become “will worship.” Foster says, “Will worship may produce an outward show of success for a time, but in the cracks and crevices of our lives our deep inner condition will eventually be revealed.” Our deep inner condition is a need for Jesus. Practicing spiritual disciplines help to reveal this need and draw us closer to the One who fulfills that need. This is why it saddens me that Angelia Jolie chose to footnote the final chapters of Louis Zamperini’s life story in her movie adaptation of the bestselling book, Unbroken by Laura Hillenbrand. In the movie we get to see the incredible triumph of Zamperini’s will power in the face of tremendous adversity. But when he is ultimately exposed in personal weakness, in need of a strength he cannot drum up on his own, he turns to Jesus, the source of life. And only by the hand of the Almighty, not by his own will power, does this hero truly overcome the darkness of his inner condition. Sadly, moviegoers are short-changed of a depiction of this life-saving end of the story; something only readers of the book are truly privy to. So I must occasionally pinch myself when speaking of the disciplines so as not to slide into any impression that I’m attempting to strengthen my will power. Foster evokes the apostle Paul when he says, “A farmer is helpless to grow grain; all he can do is provide the right conditions for the growing of grain…” So it is with practicing spiritual disciplines. It helps to provide the right external conditions for an internal transformation. The early chapters of Foster’s book are on meditation and prayer. In recent years, I’ve taken to developing some ritual mediation and prayer during air travel. I flew on an airplane for the first time when I was 7 years old and have flown regularly for vacations ever since. In my 20s, I flew frequently while employed full-time for a financial services firm. Air travel never bothered me. But then, there was a trip via a small commuter aircraft over a California mountain range in a rainstorm. I clutched the inner rim of the plane’s small window for lack of an armrest to grip onto as the plane lurched upward and downward and swung side to side like a pendulum at the end of a creaky chain. Once we landed, I scurried down the little steps, grabbed my carryon from a nearby rack and raced inside, soaking wet. I called my husband but could hardly speak. Instead, I cried. I still force myself to fly even though it frightens me. I buckle my seatbelt as tight as it will go and meditate during take off and during any bouts of turbulence. I work to relax my neck and shoulders. I concentrate on breathing. I focus on the “x” in the illuminated exit sign. I pray. I often order a drink. The spiritual discipline of meditation and prayer is not that. It is not rooted in fear. It is not an exercise in self-control or a means of tricking your body and mind into a state of calm. Christian meditation is about learning to hear and obey the word of God. And in a culture saturated in busyness and noise, learning to be still, to be quiet, to focus on creating what Foster calls an “emotional and spiritual space that allows Christ to construct an inner sanctuary in the heart” is of increasing importance. My plane ride ritual can act as a guide if I flip it toward a proper purpose. I find the attention to a relaxed body and breath is productive to the spiritual discipline of meditation. A quiet space and a regularly carved out allotment of time are also useful. Reflecting on a bit of scripture can be helpful. Sometimes, focusing on just one word for several minutes can bring about a change in me. Words like forgiveness and joy are like rare gems held carefully in my upturned hands of receptivity. I recite a Psalm or the Lord’s Prayer, pausing to consider the meaning and implication of each line. I focus on the names of people in my life in need of prayer. Sometimes, I follow up with a handwritten note of prayer for each person. I mail it to them, so they might be blessed in knowing someone has been praying for them. It is Lent. A season of introspection and repentance. I often say it is my daily goal to live a useful life. During Lent, I will meditate on what that means to me–not becoming more intelligent, knowledgeable or well-known–but more like Christ. What will you meditate on today? I encourage you to immerse yourself into the practice of spiritual disciplines and prepare your heart and mind with me as we strive to become part of what the world needs, deep people. Whoa. You blew it out of the water today, my friend. Deeply moving post. So glad to learn about this all through you! There is no bigger compliment. Truly. AND, whenever I seem to have wonderings about Judaism, I just want to phone you and chat! 🙂 We must lunch again soon.